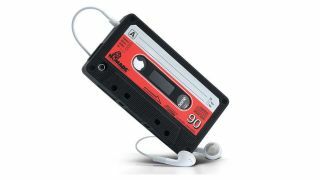 Today we are offering a choice of cases for your iPhone 4 or iPhone 4S for £4.99 each: retro cassette or hard case covers in three different colours, for 50% less than the usual price. A cover is a very cheap investment to prevent different forms of damage to your expensive phone and it clips onto your phone in seconds. Cassette cover colour options are black,blue or pink and the hard case cover options are white, black or pink. As part of the deal you also get an anti-scratch screen protector and a micro fibre cleaning cloth. Head over to TechRadar Deals to take advantage of this offer.